Every year the Black Friday label entices tenacious consumers to embark on their shopping frenzy. Make it easy on yourself. Skip the lines, sleep in, and enjoy these online hardware and component deals while they last. Note that most of these deals are time-sensitive. Amazon is offering a D-Link Wireless N router at a price point of $20 (MSRP: $76). It offers the basics of a typical network router. Also from Amazon is the TRENDnet TEW-652BRP Version V1.0R Wireless N router for $25, half off of its $50 list price. If you want a dual-band model, Newegg has the D-Link DGL-4500 for $130, $40 off its $170 original price. In addition to dual band, Apple's Airport Extreme offers USB printer sharing on the network. It comes at a higher price, but Apple will have a one-day online sale tomorrow. The 1.5TB Seagate Barracuda 7200.11 ST31500341AS internal 3.5-inch hard drive is available from Newegg for only $97 as a Black Friday special. 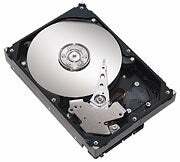 Amazon has a 1.5TB Western Digital Caviar Green internal drive for $90 plus free shipping. WD claims the Caviar Green reduces power consumption by up to 40%. Need to burn Blu-ray? Burners are much more affordable than a year ago. Newegg has an 8x LG BD-R internal Blu-ray burner for $130. Purchase by the 30th and Newegg will toss in free Vermatim Blu-ray media. As part of its Thanksgiving Weekend Sale, Best Buy has the 20-inch Acer X203H monitor for $80. This widescreen display has a 1600-by-900 pixel resolution (a 16:9 aspect ratio) and DVI-out with HDCP. If you want a 1080p-resolution monitor, consider the AOC F22, which TigerDirect has for $130 (list price: $170). This display supports 1920-by-1080 pixel resolution, so you can watch your Blu-ray movies in all their glory. Newegg offers an Nvidia GeForce GTS 250 PCIe 2.0 card from PNY for $120 ($30 of its regular price). This HDCP-ready card features 1GB of DDR3 video memory. Newegg is offering free 3D vision glasses with this card while supplies last. Story updated to fix an incorrect link.